Yerevan is one of the oldest cities in the world. It is 29 years older than Rome. In the Kingdom of Van city Yerevan (Erebuni) was founded in BC 782. 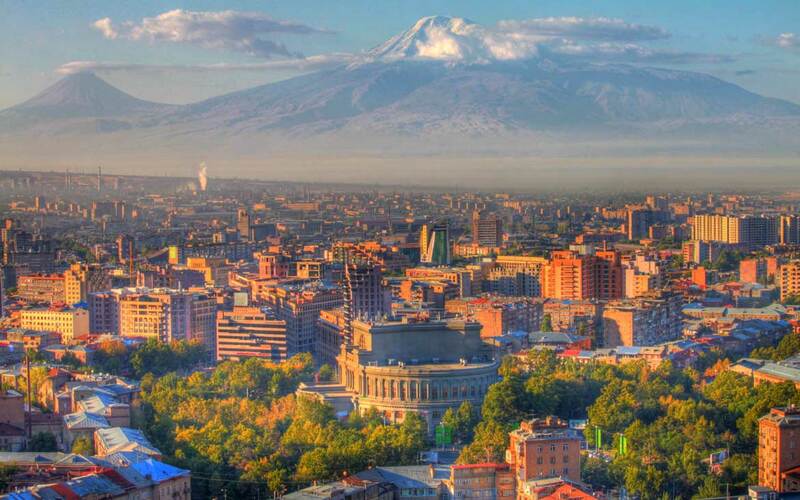 Yerevan is the capital of Armenia since 1918 and is the 12th capital of Armenian history. Construction of modern Yerevan as the capital, began in 1924. The author of the master plan is a renowned architect Alexander Tamanyan. Yerevan is full of monuments of architecture: the State Academic Theatre of Opera and Ballet, Matenadaran, Sport and Concert Complex, Victory and Kiev bridges. On the hill stands the memorial Tsitsernakaberd dedicated genotsyda victims, and in Victory Park – the monument of “Mother Armenia”.